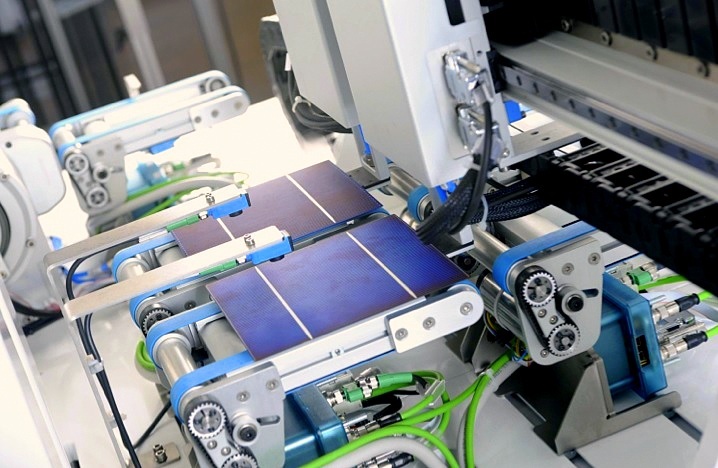 Specialty: Major manufacturer of Semiconductor equipment and materials. 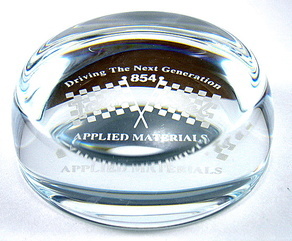 ﻿Glass paperweight celebrating the partnership between Applied Materals and Intel Corp. during Intel's next generation P854 process (0.35μm BICMOS manufacturing technology) used on the Pentium Pro processors. The P854 process replaced Intel's previous technology - the 0.5μm P852 process from 1993.